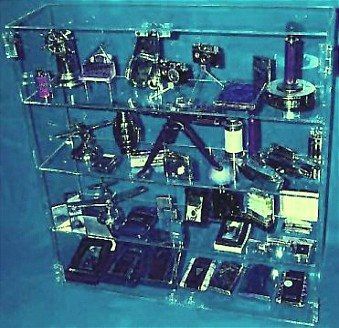 This display case will hold your table lighters, cigarette cases, pocket lighters and more! 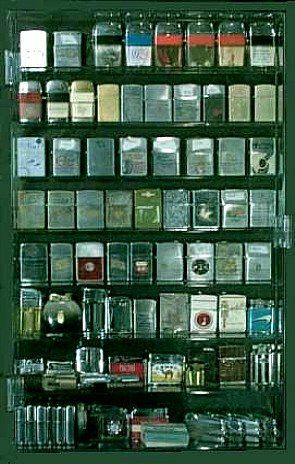 Case measures: 24" x 24" x 6,5/16"
This display case holds eight large Scripto or Zippo placed facing forward across each of eight rows. Holds a total of at least 64 lighters. 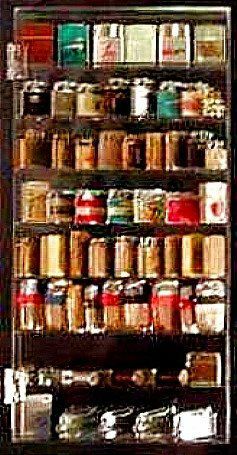 Will hold many many more if lighters are placed at an angle as shown in the bottom compartment showing fiften lighters! Holds Zippo size pocket lighters. lighters turned on edge nearly triples amount of lighters you can display!